The St. Louis Rams offense clearly missed having Pat Shurmur calling the plays in 2011, as evidenced by a statistical breakdown at Cold Hard Football Facts. After finishing the 2010 season with a negative point differential of just 2.4 points per game while going 7-9, the Rams were outscored by 13.4 points per game last season, the worst in the NFL. 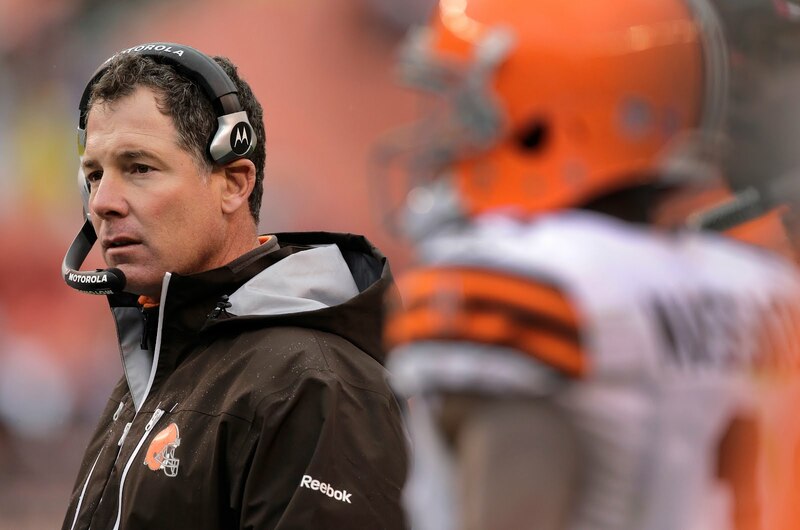 Obviously the team couldn’t overcome Shurmur’s departure to Cleveland to take over as Browns head coach. The Rams showed a huge improvement in 2010, Shurmur’s second season running the offense, as they rebounded from a 2009 season that saw the team outscored by an average of 16.3 points per game. Hopefully that is a good sign for the Browns offense heading into Shurmur’s second year in charge. For some reason, Scott Miller of CBS Sports.com has decided it is his responsibility to hound the Oakland A’s and Manny Ramirez this season. Seriously? You have nothing better to do than worry about a player that has to sit out the first 50 games of the season, then get in shape and who, in all likelihood, won’t even see the playing field this season? And should reporters really be “sharpening knives” so they can go after a team and/or player? We must have been sick the day they taught that in journalism school at Kent State. While we are still intrigued by the idea of the Browns weakening Pittsburgh by signing restricted free agent Mike Wallace, we have to admit to having some reservations after reading Ed Bouchette’s latest in the Pittsburgh Post-Gazette. Bouchette points out that Wallace caught 43 passes for 800 yards in the first eight games of last season, but only had 29 receptions for 393 yards in the final eight games. He closed out the year with three receptions for 26 yards in the Steelers playoff loss to Denver. Was that just a slump or did defenses figure something out? Brady Quinn? Apparently not a big fan of Tim Tebow. Or you just learned journalism at Kent State, Zing! Excellent! Fellow Golden Flashes are always welcome.